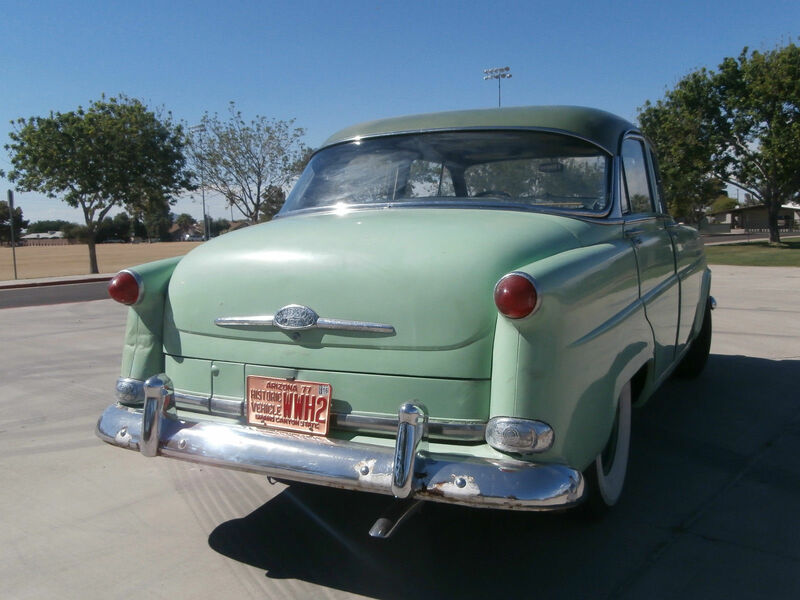 Find this 1953 Hudson Super Jet Sedan here on eBay offered for $4,800 buy-it-now or make-offer, located in Mesa, AZ. It takes you back to the early 50's: Here is a historical time capsule that runs and drives with amazing ease and fun. This 1953 Hudson Super Jet 4-door sedan with overdrive is a wonderful car to own! We've decided to sell this car from our personal collection to make room for a new project. This Hudson would be great for someone who wants to make it look like a brand new 1953 without needing to change the project mistakes made by a previous owner. It would also be an excellent starter car for someone interested in investing in the classic car hobby. Mechanical: The very best of this classic Hudson car is the motor and the transmission! This car is powered by a 6 cylinder, 202cid/114 hp motor that runs whisper quiet down the road. The three-speed on the column transmission shifts effortlessly and surely. 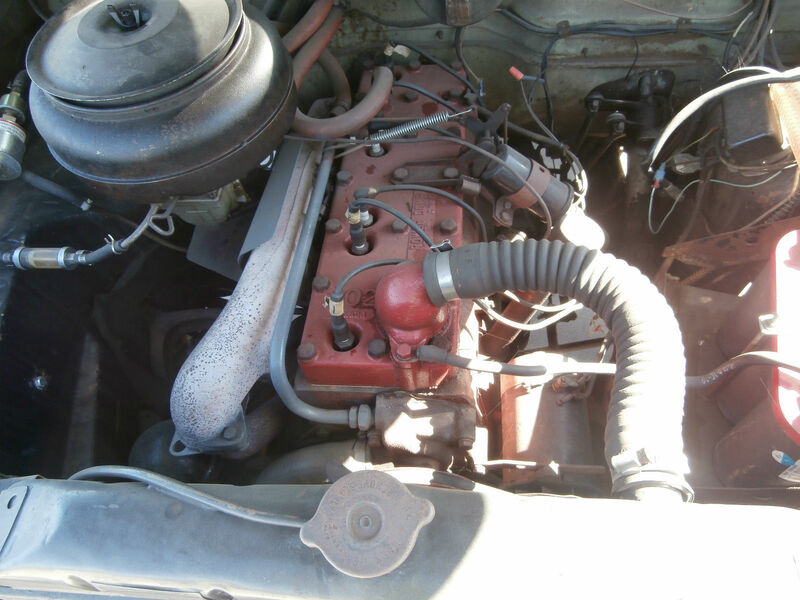 If you want to restore a car, you have 80% of the job done if those two parts are working correctly. This Hudson Super Jet starts with a twist of the key. The sound of the motor gets even better and better the more it runs. Odometer shows 18,000+ miles and has turned over once. It has a 6 volt electrical system. The brakes work ok, but will pull to the right or left if you try to stop too fast. Remember, these older cars with drum brakes cannot stop quickly at 70mph. The tires are excellent. The emergency brake works. A second fuel pump has been added for priming with its switch under the dash. Exterior: The paint color is the original color of Surf Green with a Meadow Green top. When you get up close, you can see some scratches and battle scars from its 63 years of being on the road. Because of some pitting and scarring, the chrome could use attention. Stainless steel trim is very good. Repair job beneath left taillight was not done well. The windows are all there, but show some age. There is a small hole in the left rear vent window. The trunk is super clean with a spare tire. The buyer will also get the tire jack, which is probably the original one. 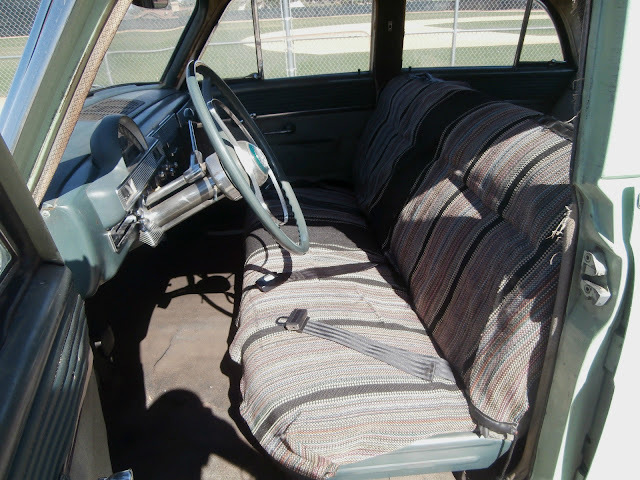 Interior: The all-original interior of the car is serviceable, but not beautiful. The dash looks almost new. The seats need attention. Lap belts have been added in the front for safety. The headliner is pretty good, but has popped out above the rear window. The doors panels are decent, except for the arm rest on the driver's side. Sun visors are good. Robe rail for backseat passengers is in excellent shape. Headlights work (both upper and lower) as do the taillights and turn signals. There is even a working courtesy light. The windshield wipers work. Structural: The car is straight. There is significant rust on the undercarriage that could use some welding to reinforce it. Hudson cars of this era are made of super heavy steel, both the sheet metal and other structural components. They look like they could drive forever. Closing the Deal: While I like the car a lot and really enjoy driving it, any prospective buyer may not feel the same. It has run well for us, but it is 63 years old. Therefore, this vehicle is sold as is, where is, with no warranty of any kind. US buyers only. It can be inspected in person with appointment. We can be reached by email, phone or text message at 602 380 9221. If no answer, please leave your number and we will call you back. The title is clear and in hand and will be accompanied by bill of sale. Only cash or money order will be accepted. Car cannot be moved until payment has cleared. The successful high bidder will submit a $500 non-refundable deposit within 24 hours after the close of the auction to secure the vehicle. Buyer agrees to pay remaining balance due within 3 days of the close of the auction. Many miscellaneous parts, as well as owner's manual and fluffy white dice, will be included with the car. We will treat you with honesty and fairness and ask the same from you. Thank you for looking! The cars of this era have so many features not found on today's cars. The little vent windows (both front and rear,) the extremely heavy steel components, the robe rail for backseat customers, the comfortable and large back seat for a family of six, are just a few. 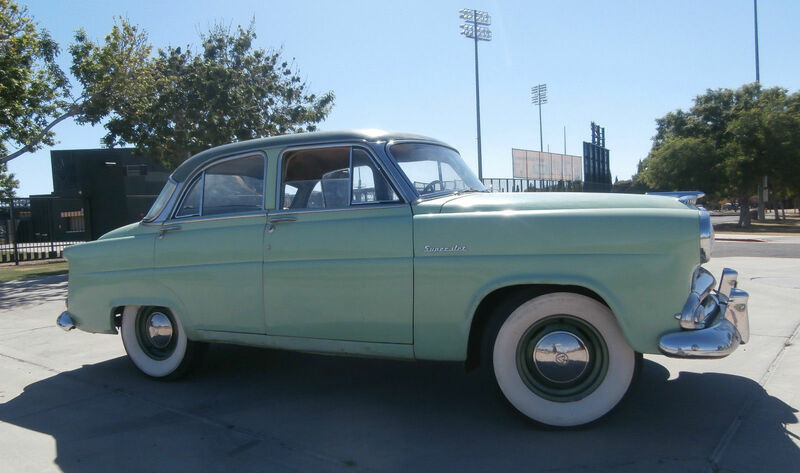 This car is an uncorrupted example of fine automobiles produced by The Hudson Motor Car Company until the late 1950's, a piece of American history you will be proud to own. The wear and tear you will see on our Hudson Super Jet is testimony to its history and to its survival over the previous decades. When you drive it, it turns heads . . . "is it a Ford? Or an Olds?" . . . are common questions. You will very rarely see anything like it on the road when you slide in under the steering wheel. To own and/or to drive a Hudson Super Jet brings smiles! As Hudson said in its advertising of that period, "If you haven't tried a Super Jet, you don't know what you are missing!" Two holes short of a Hornet, I guess. It's a attractive piece of hardware, from an era where the postwar US auto industry actually looked like there was some room to maneuver.